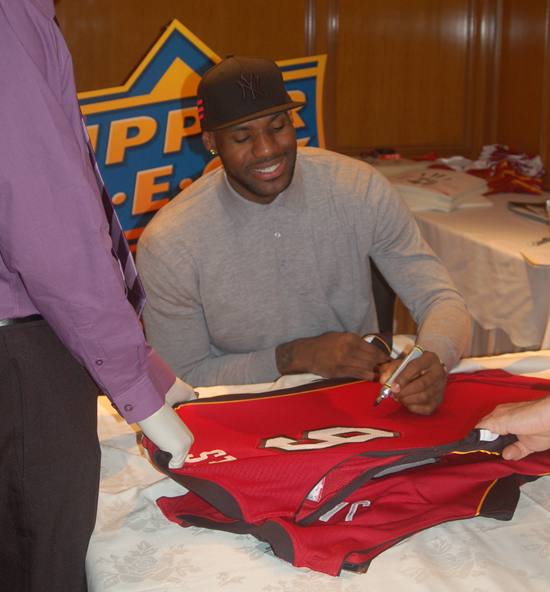 One of the cool things about working for Upper Deck is that we have a few exclusive autograph signers on board with us including the NBA’s reigning league MVP, LeBron James. Why just this past Tuesday, Jan. 11, I had the chance to meet up with LeBron in Los Angeles and watch him sign his name a few hundred times on items ranging from Miami Heat jerseys (home, away and alternate versions) and basketballs, to action prints and Nike game-worn shoes. Exhibiting the same poise he shows on the court, LeBron provided the Upper Deck Authenticated representatives with consistently solid signatures on each of the various memorabilia items that were placed in front of him. 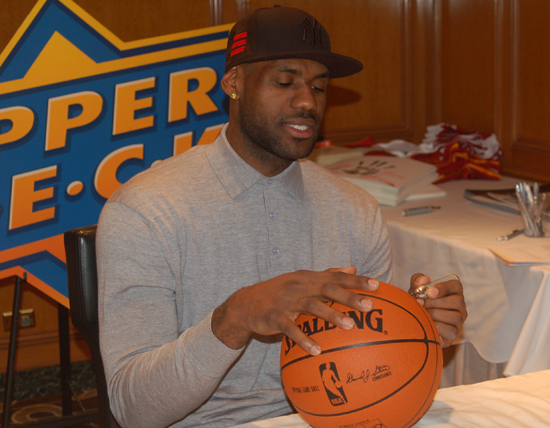 SWEET SIG: LeBron James really enjoys signing his John Hancock for Upper Deck Authenticated. 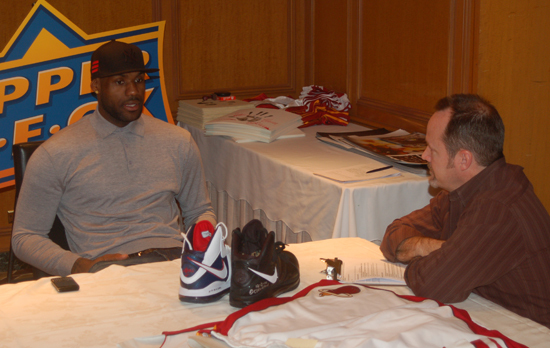 GAME-USED SHOES: LeBron was happy to talk about the shoes; just don't ask him to hold them. Stay tuned for the actual video footage coming soon. In the meantime, enjoy these images of King James signing some very cool Upper Deck Authenticated merchandise which will be available shortly at the Upper Deck Online Store. GOING LEFTY: Like his drives to the basket, LeBron has his UDA signature technique down pat. Upper Deck Shares Details on the 2017 Summit Show in Edmonton, Alberta! In British Columbia? Get to Pastime Sportscards in Tsawwassen Mills on Friday, November 25 for an Upper Deck Authenticated Road Show!